Depending on who you are and your circumstances, the prospect of divorce could be either refreshing or ominous. Either way, unless you’ve had the legal training or experience, it’s likely that divorce is something that you don’t entirely understand. And if you aren’t a lawyer or planning to become one, why should you know? As with any area of law, divorce is deeply complicated, which is why we have legal representation in the first place. 1. How do I get the divorce process started? It all starts with the petition for divorce. If you’re set on ending your marriage and ready to get the ball rolling, then it’s time for you to get ahold of that divorce petition so you can fill it out and “serve” it to your spouse — or rather, so you can arrange for it to be served. Typically, the actual serving is performed by a Sheriff’s deputy or a private process server. This would, of course, be arranged by the person filing for divorce. Another option is serving via mail, which requires that the spouse being served signs a waiver acknowledging that the petition was received. Whoever files the petition is the plaintiff and the spouse who gets served is the defendant. 2. How is payment for legal fees determined? There are a number of considerations that go into determining how much a divorce costs, as well as who pays for what. Are both spouses financially stable? How much does each spouse earn? How long did the marriage last? Is the divorce uncontested, or will litigation be required? It goes without saying that uncontested divorces are much, much cheaper than contested divorces. Litigation is expensive and time-consuming. When possible, both spouses in a divorce case will be responsible for covering their respective legal expenses. If that’s not possible, do to one spouse earning much more than the other, courts sometimes require spouses with more money than the other to pay for some portion of their legal fees. Another option is liquidation of assets in the marital estate. 3. Can I seek financial aid while divorce proceedings are in progress? Temporary financial aid, also known as pendente lite support, is available to qualified individuals going through the divorce process. Temporary spousal support is determined at pendente lite hearings, where a judge will take into account factors like the earning capacity of either spouse, their respective mental and physical health, and the well-being of any children involved. Such hearings are usually arranged by an attorney. 4. Is self-representation a viable option? This question requires a two-pronged answer: yes, you can represent yourself in a divorce case, but no, you shouldn’t. It’s just not a good idea. There’s so much at stake in any given divorce: children, property, assets, you name it. The money you’d save by representing yourself would pale in comparison the money you’re pretty much guaranteed to lose. Divorce isn’t a walk in the park. Not only will your lack of legal training undermine your ability to reach a satisfactory resolution, you’d also be taking on the enormous burden of navigating the labyrinth of divorce while working your regular job and dealing with a potentially stressful family life. If you think representing yourself in a divorce case is something you can wing on a part-time basis, think again. 5. Can divorce terms be reached verbally? In an ideal world, everybody would keep their promises and nobody would have to worry about anything. This is not the world we live in. While amicably discussing the terms of a divorce with your spouse is obviously productive, such agreements aren’t legally binding until both parties have endorsed them in writing. Without an incontestable record of divorce terms, prepared in accordance with Tennessee’s legislation regarding such documentation, there’s no way for a court to ensure that agreements are honored. 6. Can divorce proceedings be stopped once they’ve started? Yes, it’s possible to end a divorce while it’s in progress — as long as nothing is final. That means you and your spouse haven’t filed any written agreements and the judge hasn’t finalized any decrees. If you find that it’s in your best interest to end the process before it’s over, you can do this by filing a petition to dismiss your divorce. Think hard before doing so, and once you’ve made up your mind, inform your lawyer of your decision as soon as possible to avoid any complications. 7. Can I appeal agreements made during mediation? In general, it’s not acceptable to “change your mind” on agreements made during mediation. This is, of course, assuming that both you and your spouse have signed the documentation in question and the court has endorsed it. There are a few exceptions for certain circumstances. For example, if one spouse was forced into signing something under duress or cheated somehow, that spouse would potentially have the right to file a motion to nullify the unlawful agreement. However, such motions call for evidence, good evidence, so it’s important to talk with your lawyer and ensure your grounds are airtight. 8. How does property division work? This very much depends on whether your divorce is contested or uncontested. 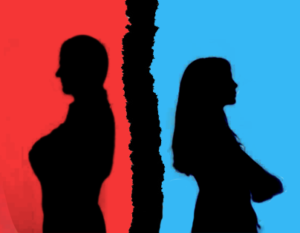 Best case scenarios tend to involve uncontested divorces in which both spouses come to an agreement on how their marital estate should be divvied up. Why is this ideal? Because the alternative is litigation. In some cases, litigation is necessary because spouses aren’t willing or capable of coming to reasonable terms, but the obvious downside is that a judge will be deciding who gets what instead of you. Tennessee courts determine property division using an “equitable distribution model”, which seeks to divide assets in the fairest way possible — and that doesn’t necessarily mean equal. 9. Can I arrange for supervised child visitations? Tennessee state law requires that all decisions involving children are made in the best interest of the children, whether such decisions are related to custody or support. In other words, of course it’s possible to arrange for supervised visits if circumstances call for it. These types of decisions are made at the judge’s discretion on a case-by-case basis, and if you provide solid grounds in favor of supervision during child visitations, the court will likely rule in favor of that requirement. If you’re concerned about your ex-spouse’s history of domestic violence, for instance, you’re more than justified in seeking to have child visitations conducted in a neutral, supervised location. 10. Is it okay for me to date while divorce proceedings are underway? Don’t do it. While it may be tempting and seem reasonable — I mean, you are about to be single after all, and everybody knows it — dating before a divorce is finalized is just not a good idea. Until you’re actually divorced, not just separated and living somewhere else, the court will have to consider your dating an act of adultery. This is a particularly important thing to remember if you have children, since the court is going to side with whoever seems like the most capable parent, and being adulterous isn’t going to score any points.